In radio, Sami has co-hosted THE SAMI LUKIS & YUMI STYNES SHOW and THE ANT & SAMI LUKIS SHOW on MIX FM. 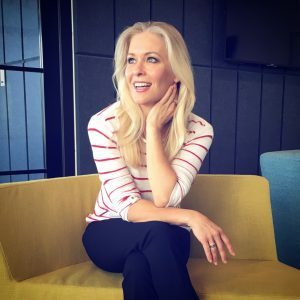 Sami co-hosted THE GRILL TEAM, THE UGLY PHIL & SAMI SHOW and THE CAGE at Triple M and she also worked as newsreader/co-host on THE MERRICK & ROSSO SHOW at NOVA 969. In television, Sami has worked as a host/reporter on THE TODAY SHOW, THE FOOTY SHOW, THE MORNING SHOW, THE DAILY EDITION, DANCING ON ICE, THE TV WEEK LOGIES RED CARPET, LOVES ME LOVES ME NOT, 20 to 1, BIG BROTHER, TOTALLY WILD, THE BLUE PLANET, SHIPWRECKED, GOOD MORNING AUSTRALIA, THE NINE NETWORK NEW YEAR’S EVE TELECAST and FOX SPORTS NEWS, just to name a few. In 2018 Sami published her first book, “ROMANTICALLY CHALLENGED” through Penguin Random House. She has also launched a podcast of the same name on PodcastOne. Sami also writes regular columns for news.com.au. Sami has also worked as a regular host/red carpet reporter for Event Cinemas and Cinema Live and she has featured as an expert guest travel writer on lastminute.com.au. Sami is the proud Patron for KIDS REHAB at the Children’s Hospital at Westmead and she is the Australian Ambassador for global beauty brand L’OCCITANE.